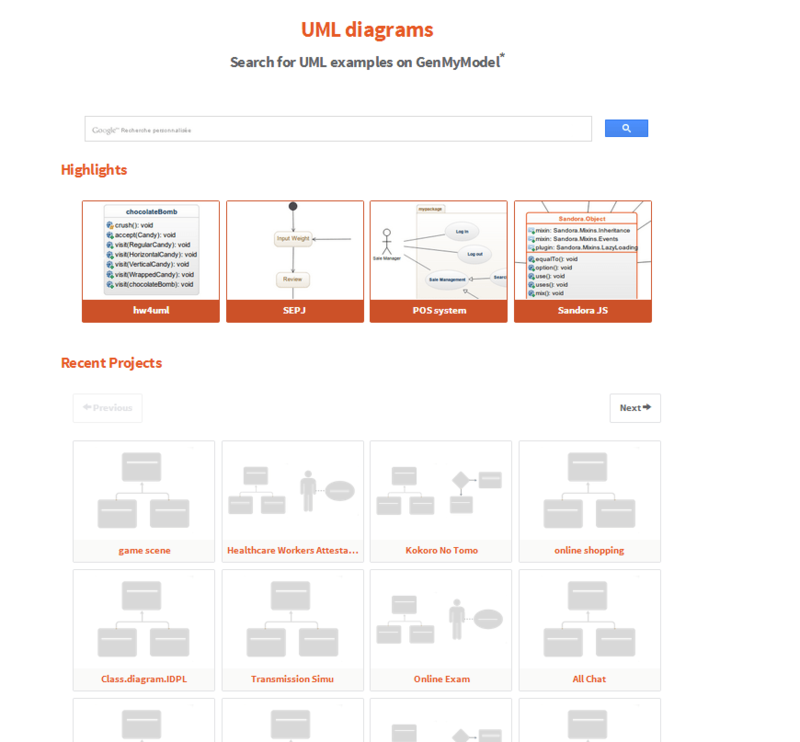 Discover the new GenMyModel UML Model Repository! The Repository features over 61,000 public models with over 21,000 completely original designs. You can find the Model Repository at https://repository.genmymodel.com. Thanks to a customized Google Search, you can search for public models using keywords. This will allow you to gather ideas for your project or even fork an existing model so you don’t have to start from scratch. The search will return results that have the keyword in the title or used in one of the diagrams. 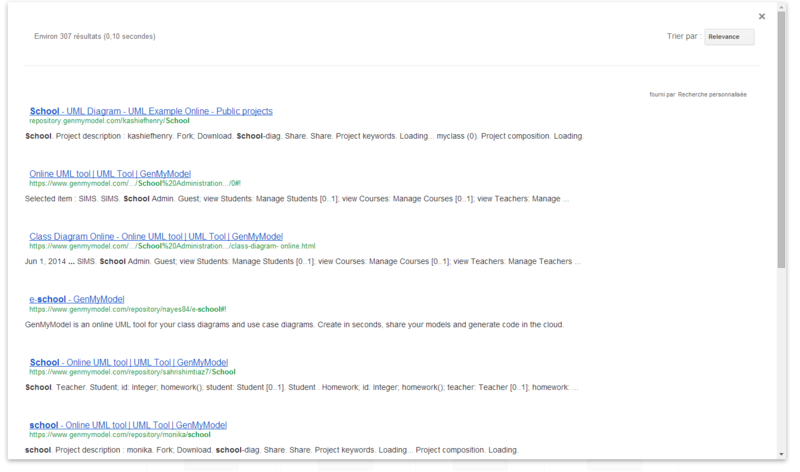 For example, if you’re creating a system for a school, you can search for “school” in the search bar. You will discover many examples of models for a school. Every user now has a public profile page. Your profile page will display all your public models. This is a great way to show off your models to non-collaborators. with your GenMyModel username (or another’s username) in place of “username”. Alternatively, you can also find a user’s profile page by simply clicking on their username on the Project Page of the model you’re looking at. 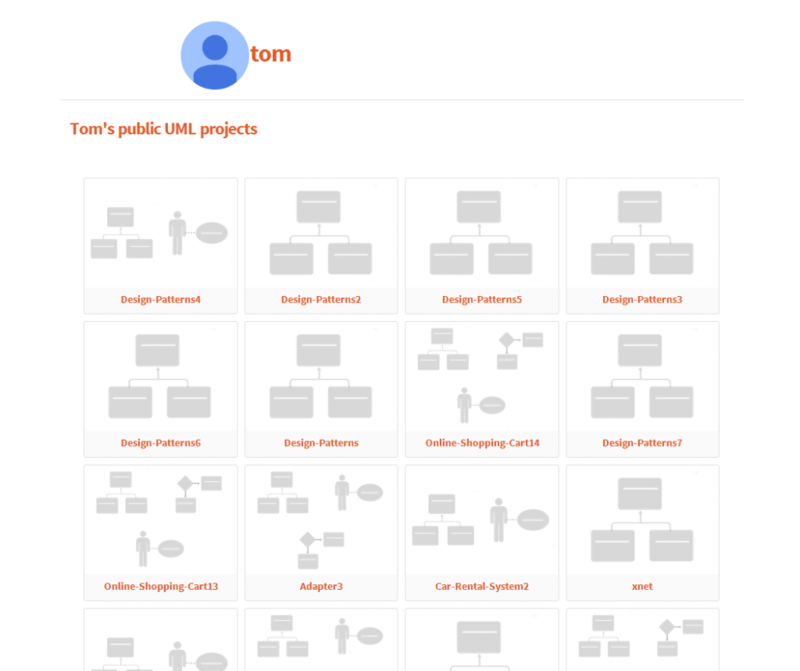 Each project has a specific page dedicated to it in the Repository. 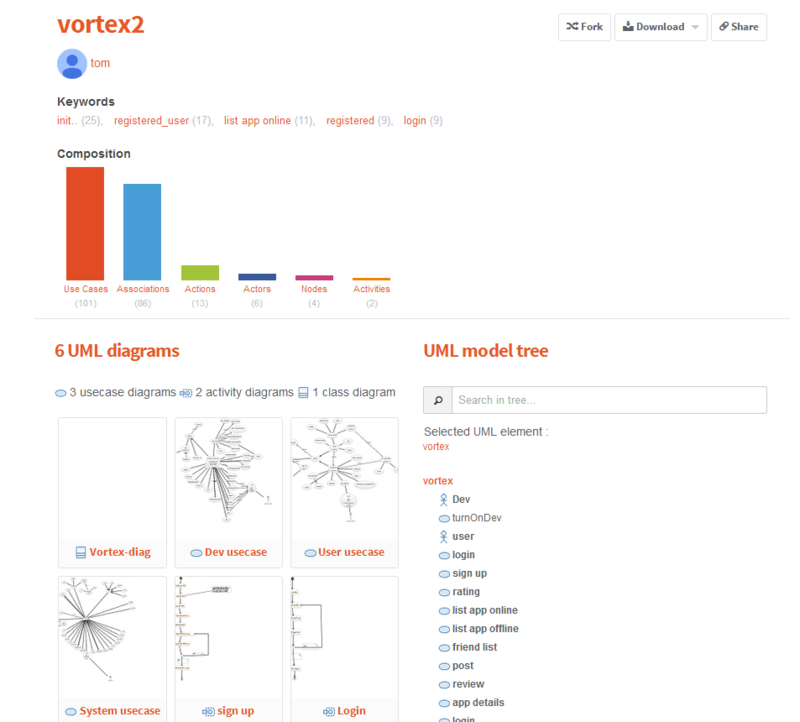 On the page, you can select the diagram you wish to view (a SVG will be generated), see the composition of the model, view the UML model tree, and search in the model tree. Directly on the page, you will also have the options to fork the model, download it, or share it. What do you think of the Repository?